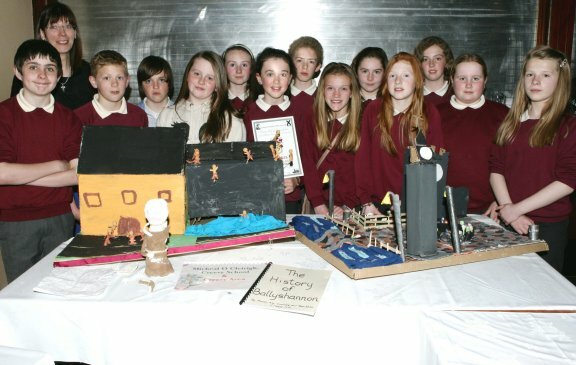 This year's theme, "The Gathering" certainly proved to be one of the most popular with the pupils of the county as they were tasked to showcase the historical attractions of their locality and its cultural heritage. Seeing all the exhibits in the Pyramid Suite of Jackson's Hotel on the day of the judging was a magnificent spectacle and a superb tribute to the huge amount of research, effort and endeavour from all the pupils, under the guidance of their dedicated teachers. In his address, the President of the Society, An Dr. Oirmh Pádraig Ó'Baoighill, PP thanked Pat Shallow for his professionalism in organising the schools' competition which he has been doing for so many years. He then praised the pupils for their hard work, acknowledged that they were the historians of tomorrow and expressed his disappointment that some schools do not teach the subject. Speaking in Irish he said, "Is léir ó na taispeantais atá os ár gcomhair go bhfuil obair mhór déanta ag na daoine óga seo....Is iad na daoine óga atá i láthair anseo inniu stairaithe an lae amáraigh. I saol an lae inniu, tá scoileanna ann nach bhfuil an stair a theagasc acu, agus is mór an t-abhair buartha é sin, mar duine ar bith nach bhfuil ar an eolas faoi stair a gceantair agus stair a dtíre, is cinnte go bhfuil bearna mhór ina gcuid oideachais." Pat Shallow, Director of the Schools' Competition, also mentioned the huge amount of time and effort involved for the pupils taking part. "This is their evening, these exhibits that we see around the hall are a wonderful credit to them and it's great to see their work on show here and listen to their presentations." He went on to express his gratitude to the teachers. "Without their dedication and enthusiasm we would not be here at this celebration this evening. 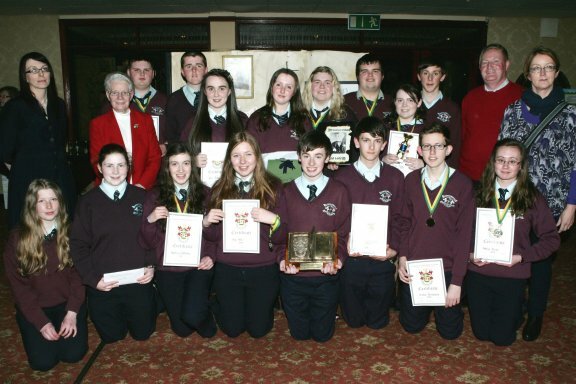 The curriculum makes greater demands year after year on teachers, so we acknowledge their commitment to the schools' competition and thank them profusely for promoting the history and heritage of their county and locality among their pupils." 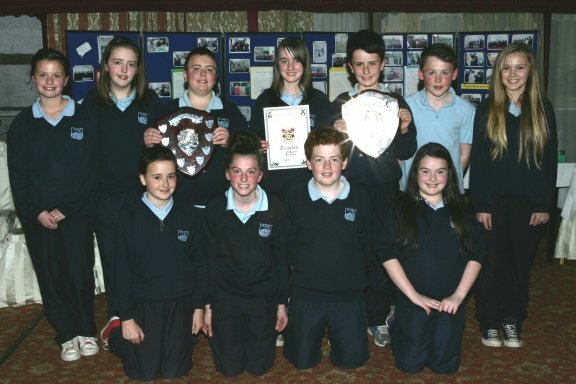 (Anna McGinley, Jai Ponsonby, Oisin O'Brien, Conor Edwards, Jamie Doherty and Sarah Doherty). 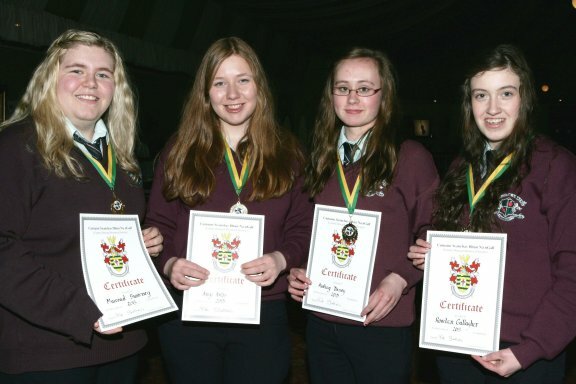 Nora Doherty, Loreto College, Milford. 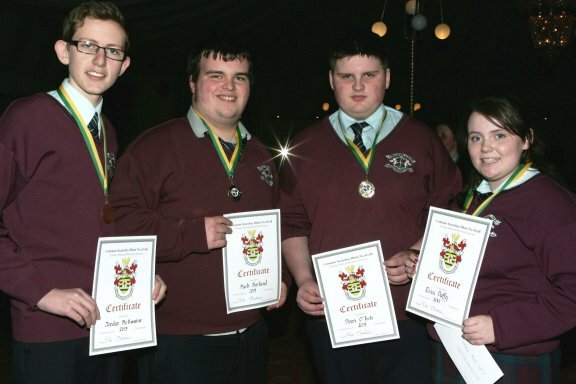 (Mark Borland, Erica Duffy, Jordan McIlwaine and Sean O'Toole). In conclusion, Pat thanked everyone involved in making this year's competition such a great success. In addition to the pupils, their teachers and their schools he also extended his gratitude on behalf of the Society to this year's judges: Cllr. Gerry Crawford, Aine NiDhuibhne and Jim Kane, not an easy task being a judge in a field of such high quality, Pat added. Finally he also acknowledged the most welcome assistance from two of his colleagues in the Society, Bobby McDaid and Eamonn MacIntyre. 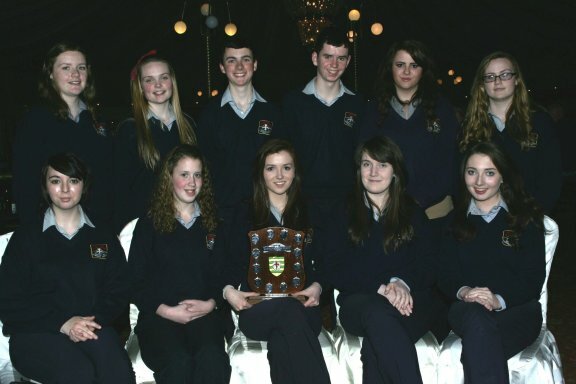 Loreto College Milford – overall winners of the Father Jackie Fitzgerlad Trophy. 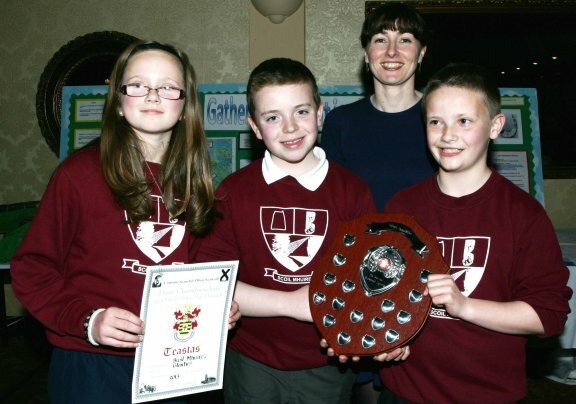 Also in picture are Elizabeth McGrory, John McCready and Father Fitzgerald’s sister May who presented the award. 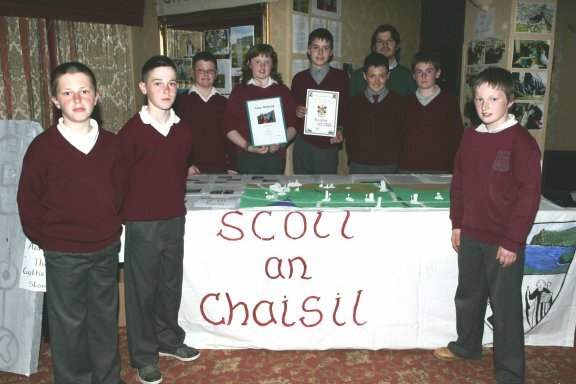 Winners of the small groups section in the primary school competition – St. Columba’s N.S. 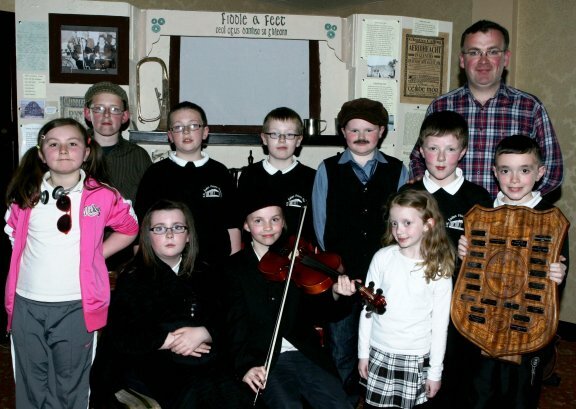 Ballylast, Castlefin with their teacher Miss Joleen McHugh.